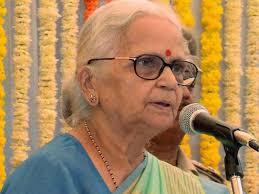 Panaji, August 16, 2018 … Governor, Dr (Smt) Mridula Sinha has extended her greetings and best wishes to the Parsi community in Goa on the auspicious occasion of the Parsi New Year, August 17, 2018. In her message the Governor said, Navroz or the Parsi New Year of the Parsi community in India is one of the prominent festivals for the folks following Zoroastrian faith and is celebrated with much fanfare. The day is also believed to be one of remittance for the community from evil deeds and thoughts and of atonement for the sins of the past year. The Parsi community in India has contributed significantly to India’s social, economic, cultural and intellectual fields. By their disciplined, peace-loving and enterprising nature, they have earned a pride place in the national mainstream. I am sure that my Parsi brothers and sisters will continue to contribute a major share in taking the nation to greater peace prosperity and glory, she added.